Free Wi-Fi and deluxe breakfast plus a heated outdoor pool and a serene location surrounded by redwoods are perks provided to our guests at the non-smoking Quality Inn & Suites Santa Cruz Mountains. This two-story property has 25 rooms all featuring complimentary Wi-Fi coffeemakers and cable TVs. In the morning guests wake up to a deluxe continental breakfast served on the house. Later they can take in the majestic redwoods without even leaving the heated outdoor pool. The hotel also has a barbeque/picnic area as well as fax and copy services on-site. Parking is free. 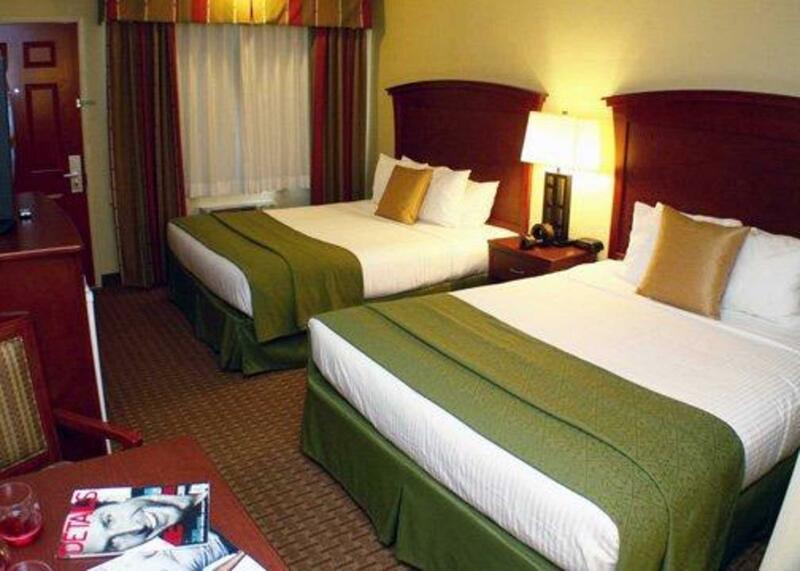 Located off Highway 9 Quality Inn & Suites is about a half-mile from shopping and dining in downtown Ben Lomond. Henry Cowell Redwoods State Park is about five miles away and the bustling Santa Cruz Beach Boardwalk is a 25-minute drive. San Jose International Airport is 32 miles from the hotel. our guests appreciate the "great location in Pristine Redwood Pines" "very comfortable" beds and "very friendly" staff at the "relaxing quiet" Quality Inn & Suites Santa Cruz Mountains. Pre Pay Policy: $193.03 will be charged to your credit card.